The Shift management feature allows to implement working shifts in a process of sending SMS messages. 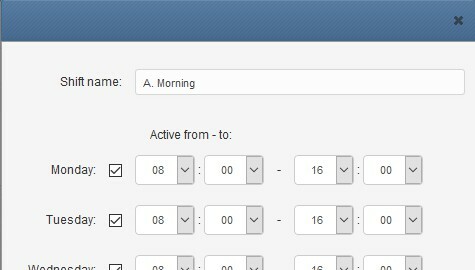 If you want to send messages to your employees only during their working hours, this feature can help you. 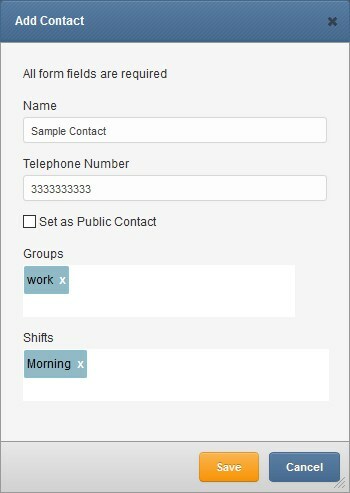 SMSEagle’s Shift management allows to assign Phonebook contacts to working shifts. If a contact is assigned to a working shift, the device will check before sending a message if the contact is on active shift. If the contact is not on a shift, the message will be skipped or moved to beginning of a next shift. Below is a brief overview how the feature is configured. When adding or editing a phonebook contact, said contact can be assigned to a working shift by typing shift name in the “Shifts” text field.